Last week I checked out one of my favorite design blogs designspongeonline.com and they had a post about the fork. You know the utensil we use at every meal. It was a very interesting and fascinating look at the history of said eating implement. One of the comments came from a reader who suggested someone needed to start an etiquette blog. Well, I am taking on that challenge and will write about dining, table setting and party etiquette and manners. Teaching manners to my children has always been important in our household. I’m continually amazed at the poor manners I see in adults and children. If your mother didn’t teach you how to eat, be polite and act in social situations, how can you possibly teach your own children? You eat soup and salad before the entree, so the soup spoon and salad fork are on the outside! 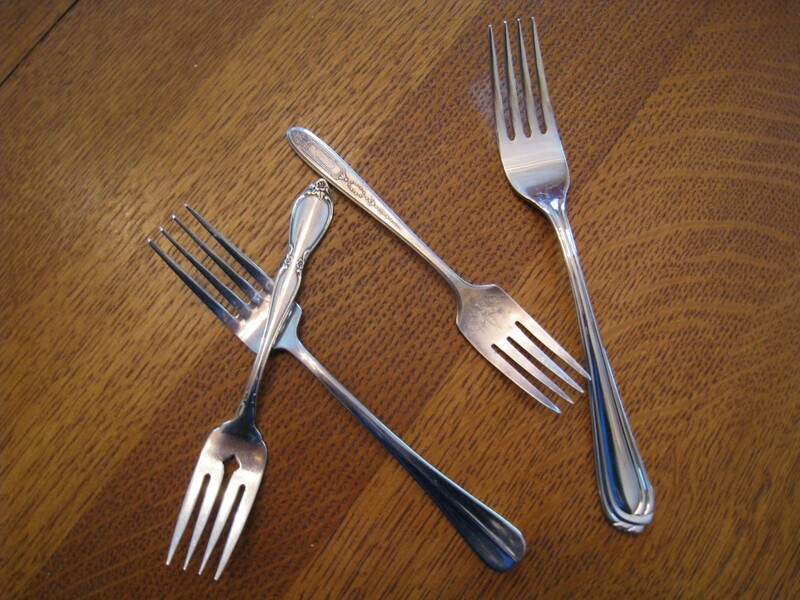 A basic table setting has the forks on the left and the knife and spoons on the right. 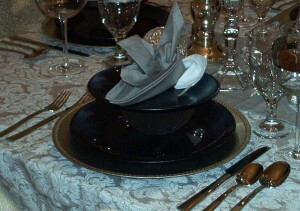 The napkin is placed next to the forks or under the forks or on the plate. You always start with the outermost utensil and work toward the plate when eating. The soup spoon is largest and on the outside, so that’s the one you use when eating soup. The salad fork is smaller than the dinner fork (and to the left), so you know which one to choose when the salad arrives. 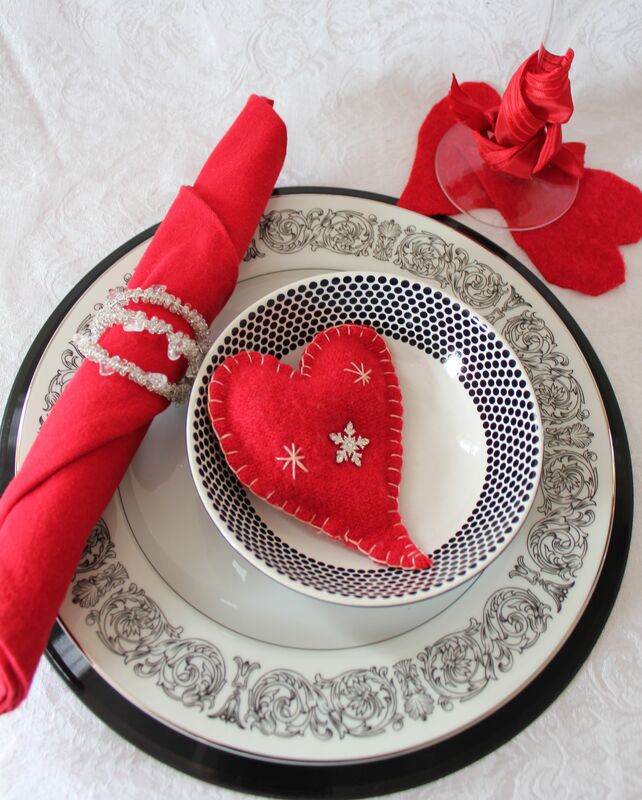 Once you know the basics, it’s easy to get creative when setting your own table for parties. Whether you are at a formal event or casual family supper the rules are the same. 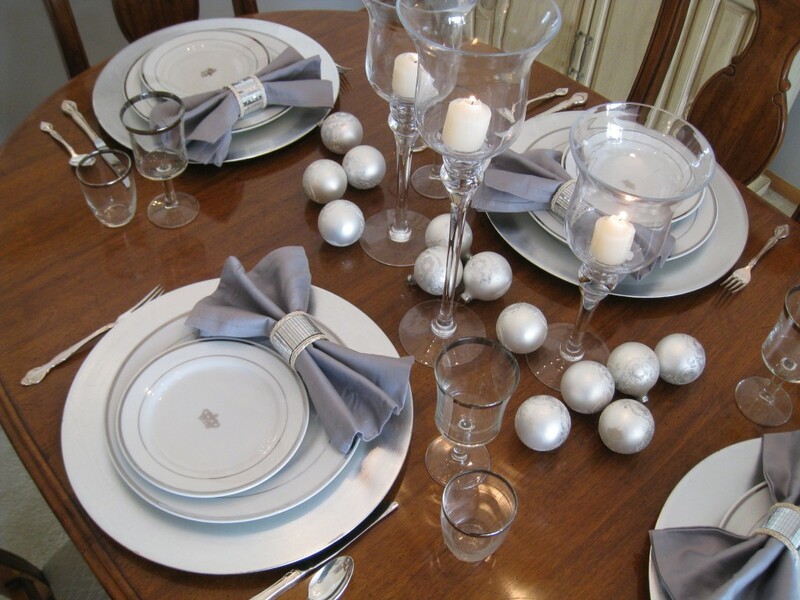 Send me your dining, table setting and etiquette questions. I’m at your service!